Daybed for 16" dolls. Model 420-03. Height 17,6cm (6 7/8"), seat height 10,4cm (4 1/8"), depth 22cm (8 5/8"), width 46cm (18 1/8"). Made of plywood, sponge and fabric. Mattress and pillows included. Painted with acrylic. Available finishes: shabby, shabby+varnish, standard+varnish. Working drawers is a huge touch! Usually something like that would just be for effect. Thank you. All drawers in my furniture are working. Hello! Will you sell it in your Etsy shop? Hello Julia! This model is unavailable at the moment. 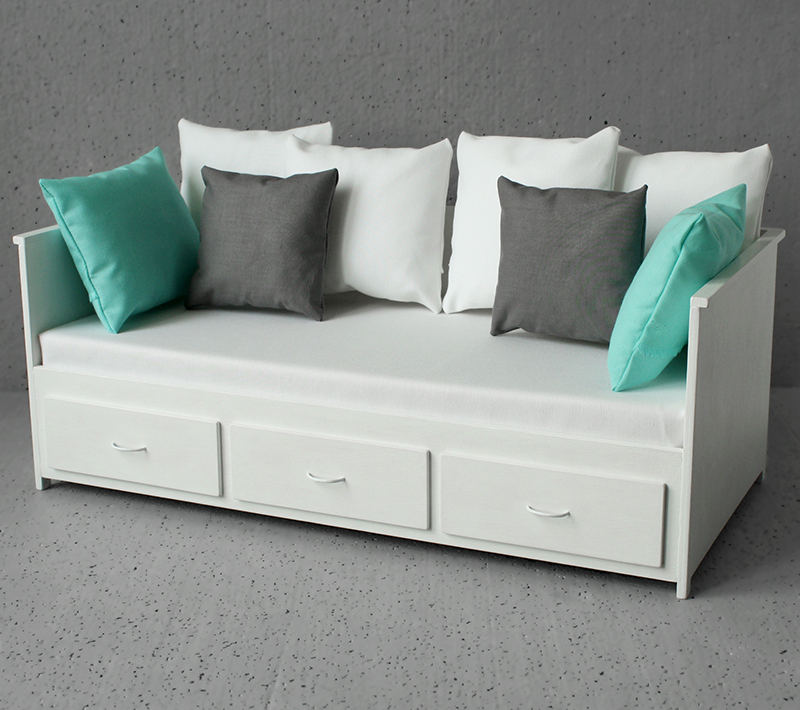 I will have two other daybeds for 16" dolls soon (http://www.minimagine.com/2015/12/daybed-420-01.html, shabby painted in white and in grey).